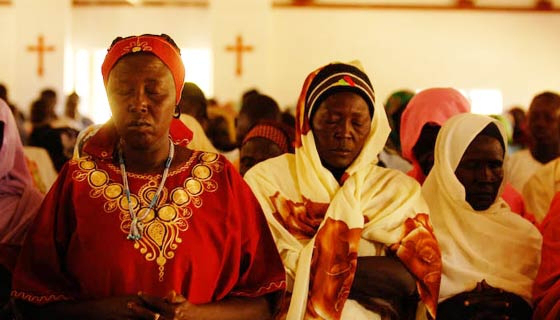 A woman has been sentenced to hang in Sudan after she married a Christian man from South Sudan. Charged with apostasy, or the abandonment of one’s faith, Meriam Yehya says she has never been Muslim. Islam is the dominant religion in Sudan, and the religion of Yehya’s father, who she says was absent from her upbringing. Her mother is Christian. The court gave her three days to pull out of the marriage, but when she refused she was sentenced to hang. As Yehya is currently pregnant, Islam law dictates that she cannot have her sentence carried out for another two years, allowing her to give birth and breastfeed her child. The court also sentenced her to 100 lashes as punishment for adultery, because her marriage is not valid under Islamic law. The BBC reports that this will also not be carried out until she has given birth. International human rights organisations have condemned the Sudanese legal system for preventing Yehya from the freedom to choose her own religion. Yehya’s lawyers are planning an appeal.